Posted on November 8, 2018 by Erica V.
For established bloggers, switching to a new domain name is like leaping into the unknown. How will people know how to find me? Will my search rankings drop? Will I lose followers? Any big site change — from changing domain names to switching content management systems to modifying your social media handles — can have unexpected consequences, but it doesn’t have to be that way. 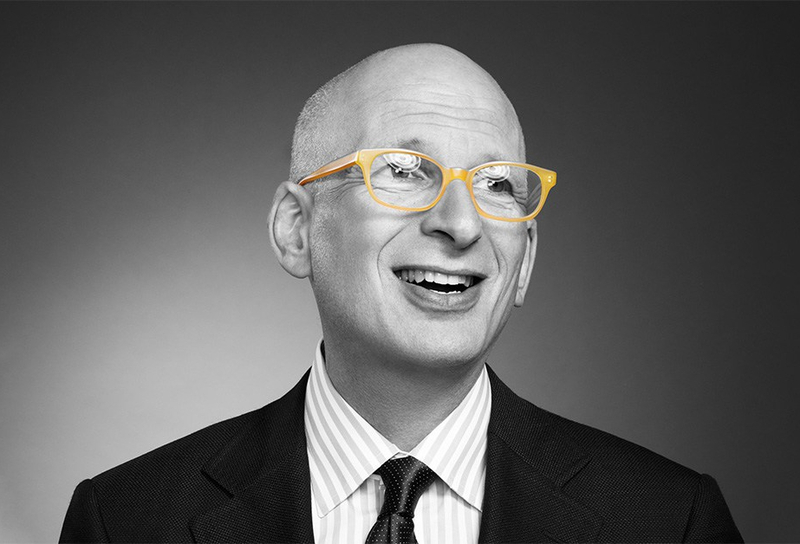 Let’s take a look at one of the most recent members of the .blog family, prolific author and blogger, Seth Godin. Seth is an expert in the marketing field. His books, such as Purple Cow, are studied in marketing and public relations courses around the world. As a thought leader, Seth works diligently to share his insights with the public. In fact, Seth blogs daily on his site, seths.blog, which is packed with articles on career development, personal branding, and business sense. Yet just a few months ago, Seth was blogging at sethgodin.typepad.com before he decided to make the switch to seths.blog. For such an avid blogger, switching to a .blog domain made sense: it’s a clever, clear-cut way to show readers what to expect when they visit the site. To prepare for the change, Seth worked with a specialized team at Automattic, the company behind WordPress.com. With a special support team to guide the transition, sethgodin.typepad.com was ready to be transformed into seths.blog. Automattic migrated all of the content, handled special feature requests, and, with Noah Grubb, developed Seth’s customized theme. Equally important, they made sure that Seth didn’t lose visitors from older, already indexed articles by setting up redirects, an option available via many webhosts or content platforms. seths.blog, featuring a site design that highlights his brilliant writing repertoire. As an added step, Seth published an announcement post on his blog letting visitors know about the change. This gives avid readers time to update any links and keep an eye out for the new site address when updates are published. It’s also a great way to harness the momentum that making a branding or domain switch requires. With a fresh new look or domain, there’s also fresh new content for visitors to dig into moving forward. In trading sethgodin.typepad.com for seths.blog, Seth was able to shorten his domain name — the hub of his online presence — making it a much more memorable, and highly-identifiable, handle. By using a .blog domain, every character in Seth’s domain becomes meaningful. We know that it’s, quite literally, Seth’s Blog. By using the .blog domain extension, visitors know right away that they’re going to be greeted with fresh, new content on a regular basis. When it comes to SEO, seths.blog already has over 7,000 pages indexed in Google according to Northcutt’s SEO tool. By taking the time to prepare his new website with an announcement post, redirects, and continuing to publish consistently, Seth was able to reap all the benefits of his short, catchy domain name while still maintaining his hard-earned ranking and traffic. Ready to take the dive into your own .blog? Get your own via any one of our partners.